Legio Minimus: Rise of the White Walker - Bane Knight unit Complete! 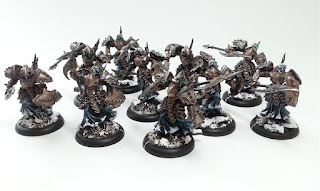 Rise of the White Walker - Bane Knight unit Complete! 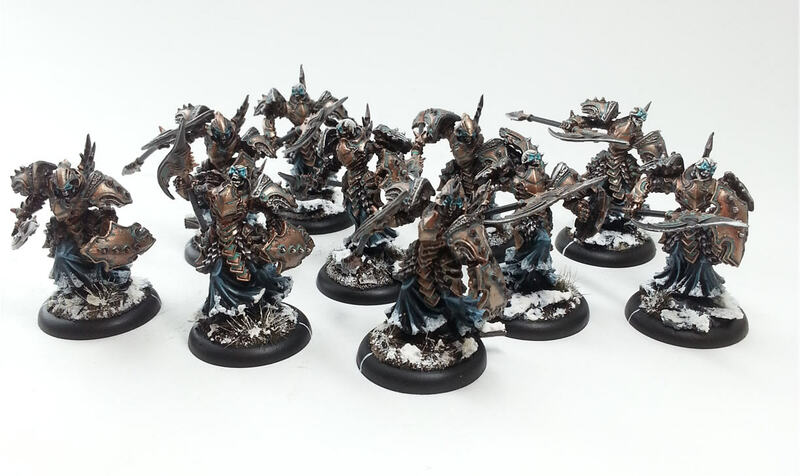 So I am sure many people will remember a while ago I had some posts of the Retribution of Scyrah army. Started of red with blue OSL and then dark green with light green OSL. While I was somewhat happy with my dark green scheme I didnt enjoy painting it and it was simply way too close to my Dark Eldar's scheme. 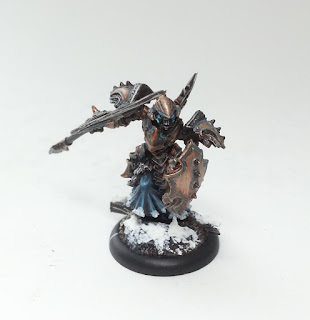 I never was able to fall in love with painting that army so I eventually traded it for the one army in Warmachine I DID want to paint, and that is the Cryx.